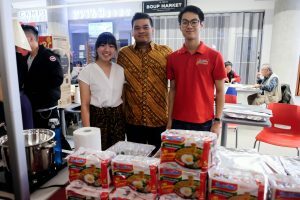 The student-led “Taste of SEA: Night Market” held on the 16th November 2018 illustrated the best of what Southeast Asia has to offer. 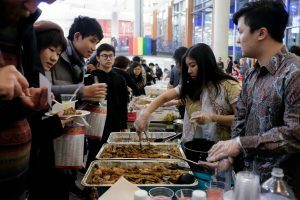 From the excellent cuisine to the diverse range of performances, the event demonstrated the strength of the Southeast Asian clubs at UBC. With 6 Consulate Generals taking part offering information and complimentary desserts, the event successfully increased Southeast Asia’s ever-expanding reach. At the venue, on behalf of UBC and CSEAR, Professor Cesi Cruz gave an opening speech that highlighted themes of love and harmony found in our communities. Followed by gracious opening remarks from the Consul-General of Malaysia, Mr. Shamsul Nizam Shamsuddin, marking out the successes of the student clubs in fostering a growing community. 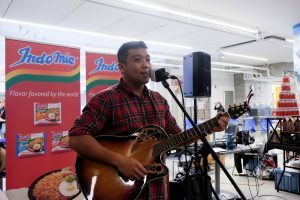 Complimenting the speeches was the debut of the UBC Association of Southeast Asian Clubs (ASEAC) which established the first official association among the 6 respective clubs. The event was met with overwhelming success, reaching over 400 attendees in the AMS Nest. In short, this event has showcased the very best of UBC multiculturalism, and we at CSEAR along with the UBC community look forward to such events in the future. Photos of the event can be view on the official UBC ASEAC facebook page. Are you craving for some delicious Asian cuisines to warm your soul on a cold autumn day, one that would remind you of home? 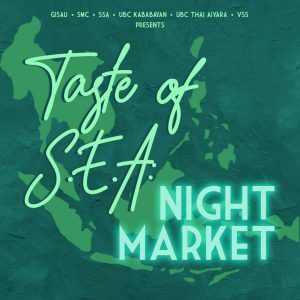 Well, look no further – Taste of SEA: Night Market is back again this year, with food and drinks you definitely won’t want to miss! Come and join us at the Lower Agora of the Nest, and enjoy the delicious food and heartwarming performances that we’ve lined up for the night! For those planning to travel around South East Asia, you’ll get the opportunity to ask the many consulate generals that will be present any questions about their respective countries as well. LIMITED EARLY BIRD TICKETS ARE BEING SOLD! Contact any club exec from your respective clubs to purchase. ► CONTACT YOUR RESPECTIVE CLUB EXECS TO GET TICKETS! HOW IT WORKS: Come enjoy the night market-like atmosphere with a $10 entrance ticket that will provide 2 complimentary dishes. Rice is sold for an additional $2. If you want to try more food, you can purchase a $5 coupon for another portion at any stall. If you want extra rice or any unique drinks you can buy them at each respective stall (rice/drinks – $2).